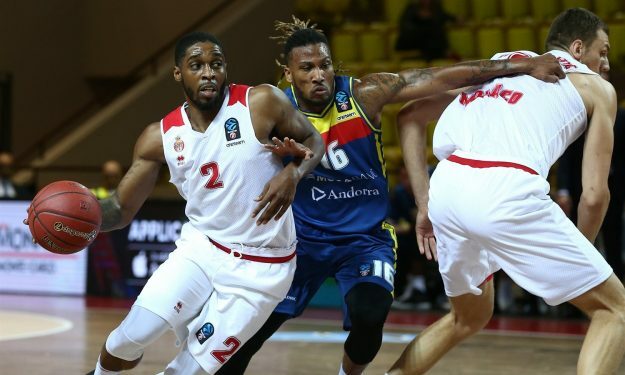 Lazeric and Jarrod Jones combined for 39 points and handed Monaco a home win against Strasbourg in French League. Despite a slow start and lots of ups and downs, Monaco recorded an 83-79 home win against Strasbourg on Day 14 of French League. Lazeric Jones scored 21 in addition to Jarrod Jones’ 18 points. For Strasbourg, Youssoupha Fall scored 20 points while Mardy Collins added 19. Strasbourg opened the game better and was ahead 23-14 after ten minutes but Monaco took over the lead by halftime (43-40). The game stayed balanced after the break but with the score 74-72, Monaco made a crucial 6-0 run which propelled them to victory. Monaco improved to 7-7 while Strasbourg holds a 9-5 record. Lyon-Villeurbanne stands at the top with 12-2 while the bottom is reserved by Cholet and Antibes with 3-11 records.